See more objects with the tag silver, delicate, vessel, fanciful. 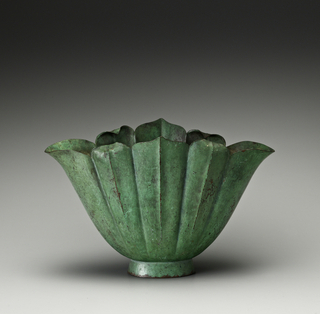 This is a Presentation Bowl. It was designed by Marie Zimmermann. It is dated 1925. Its medium is sterling silver. 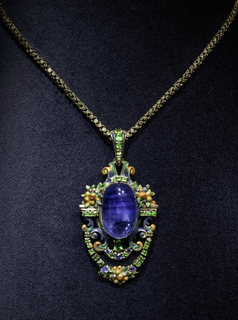 Marie Zimmermann was among the most celebrated female artisans working in jewelry and metalwares in the 1920s. 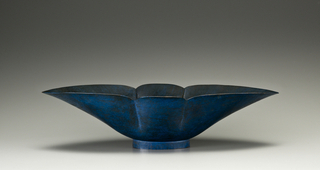 Her work often referenced ancient cultures. 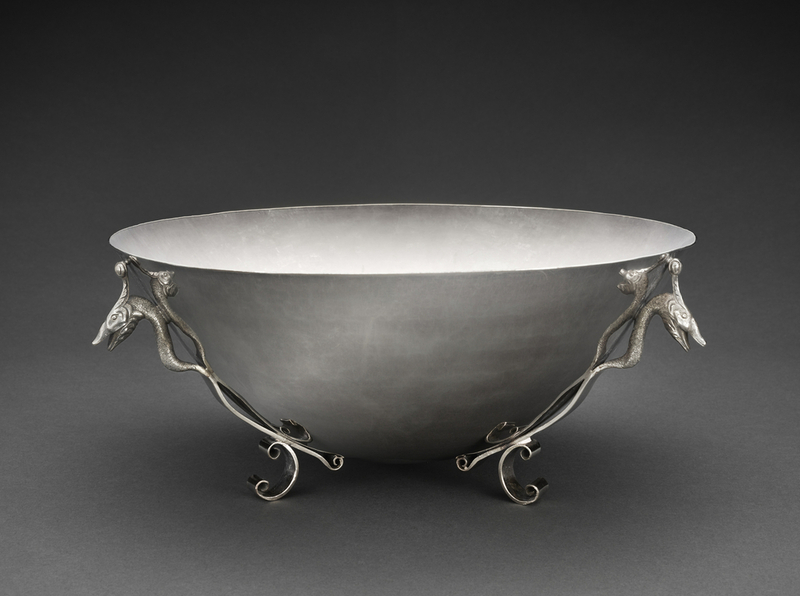 This bowl was given to William Weaver Heaton, longtime member of the Board of Governors of the New York Stock Exchange, on the occasion of his eightieth birthday in 1925. It is credited Lent by The Museum of Fine Arts, Houston. Gift of Cecily E. Horton, 2014.814.